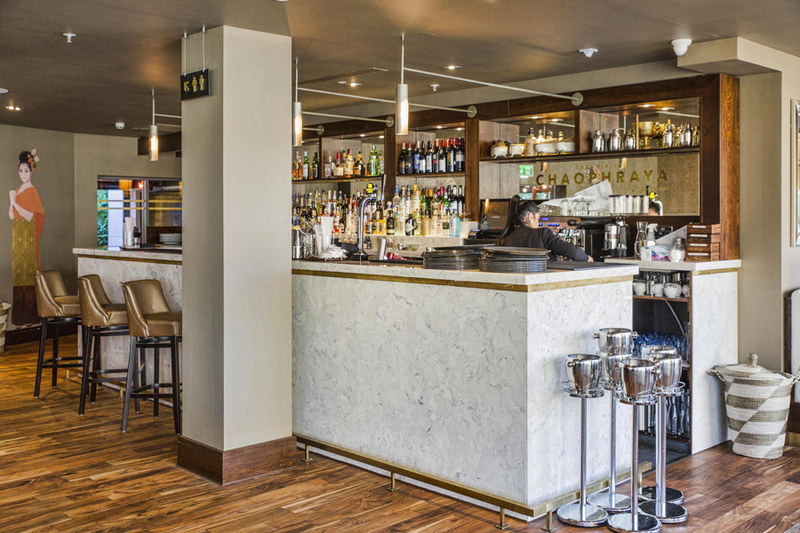 Versital is delighted to have been specified in Chaophraya, a contemporary Thai restaurant in Newcastle. 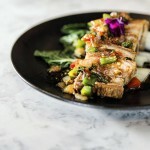 The restaurant has recently undergone a £1.55 million transformation that offers an impressive blend of contemporary Thai cuisine in unique surroundings. Versital supplied a stunning three meter marble bar top and marble panels to meet the brief of ‘classic elegance’. 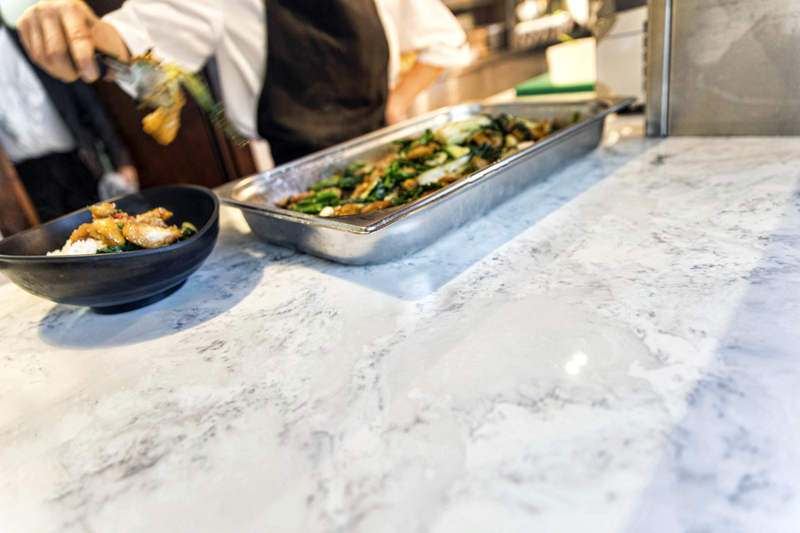 Versital’s 100% non-porous stone resin panels, bar tops and table tops are made to measure allowing you to specify the exact shape and size required. They are available in over 90 colours and finishes such as marble, granite, sparkle and high gloss. 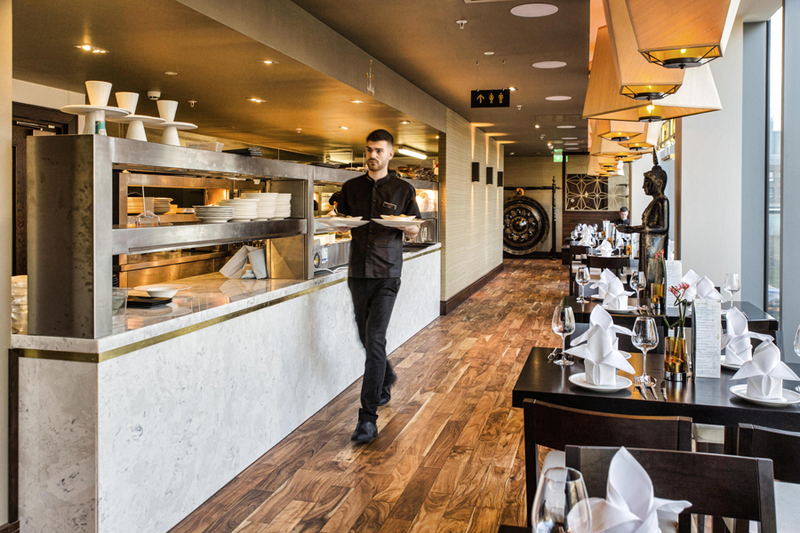 Versital worked closely alongside designers JMDA who specified Versital for this beautiful restaurant refurb, as well as main contractor and installer to ensure and smooth process from beginning to end. “Versital provided a brilliant service throughout the project. 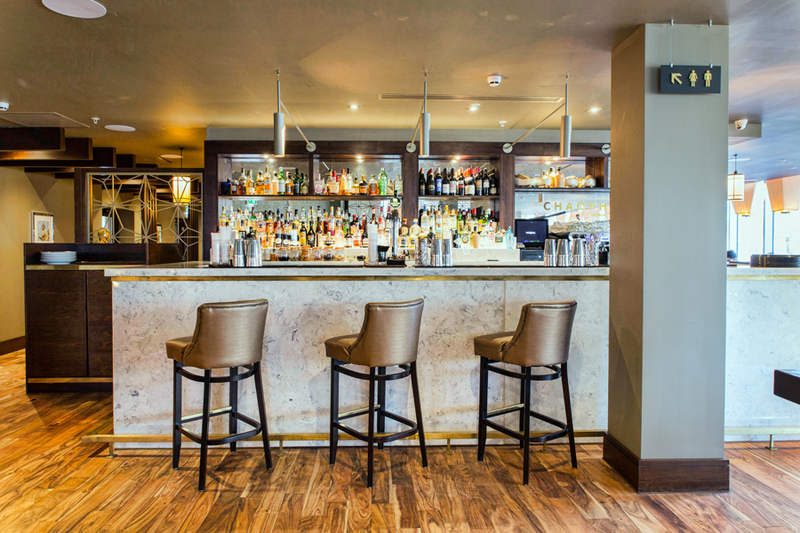 From inception, design, procurement, right through to the construction phase; they supported the project team in ensuring delivery of a brilliant product from across various bespoke joinery items such as the bar/ kitchen pass & waiters stations”. Dan Lewis, Project Manager at Medlock and installation manager for this project. For more information of Versital Marble bar tops and panels take a look at our past projects. You can contact us direct for a quotation, or call us on 01204 380780.